YouTube is undoubtedly the largest video portal on the internet, to earn money with youtube, you need to monetize your youtube channel. So in this tutorial I will guide you how to monetize youtube videos in 9 easy steps. I am not telling you that you can rake in millions from your YouTube videos (though, there is a chance that it may happen!) but you can effectively monetize your YouTube videos to earn good passive income online. YouTube is undoubtedly the largest video portal on the internet. It supports all forms of videos like clips, TV media, music videos, video blogging, short originals and educational videos. You and I have used it umpteen times to watch videos and entertain ourselves but did you know that you could also earn on YouTube. You may have a channel and might have uploaded some video content but you can also earn money from that. There have been quite lot of YouTube superstars who have managed to earn their fair share just from posting videos (which off course are awesome in their won aspect). Surprisingly, in some countries, youtube is blocked and cannot be accessed. Brazil, Turkey, Germany, Libya, and others are countries where youtube is blocked. In order to unblock youtube, you need use methods like proxy and VPN. However, most of the world enjoy seamless video on YouTube, which gives you great opportunity to earn money from it. I am not telling you that you can rake in millions from your YouTube videos (though, there is a chance that it may happen!) but you can effectively monetize your YouTube videos to earn good passive income online. In order to upload content you need a YouTube channel. Every account on YouTube or Google has a YouTube channel attached to it. Once you are certain that you want to operate a channel you should work on its appearance and technicalities which include keyword research which helps people to find your channel easily. It also included deciding and then designing the entire outlook of your channel as it will become the first page any visitor comes to. Therefore it should be attractive and as well as informative so that the user knows what he is in for. Make sure that your keywords are related to your content. Many a times a slight mistake can be misleading and result in cancellation of your subscription as Google will deem misleading tactics as spam and you will lose any chance of monetizing your YouTube videos. One should also take particular care when deciding on the user name for your channel. It can work in your benefit if done right but can also lead to disastrous results if it goes wrong. Try to keep it short, original and easy to remember so that people can easily remember it. It is always beneficial to keep one account for this purpose. Changing accounts consistently will be confusing both for you and your viewers. After you have successfully established a good framework in the form of a YouTube channel the next step is to add content. It is needless to say that the content should be of top quality. These days people are interested in seeing clear cut, high resolution and smooth videos and this demand should be met or else they will lose interest in your channel. You should also take care of the sound quality and ensure a smooth and noise-free experience. You should not post exceedingly long videos until you are uploading documentary videos or informative videos. Video posts and blog posts should range from 2 minutes to 15 minutes maximum otherwise users have a tendency o lose interest and migrate elsewhere without proper feedback and engagement. Recenly I uploaded Digiexe.com 2 videos on my channel, you can see how I use these videos & monetize it. Try to make each video better than the last one. Even if your quality in the beginning is not awesome, you will get better with practice as you learn about many new tools and techniques along the way. Make sure you have good shooting equipment in the form of good cameras and quality software for editing and mixing requirements. Your aim should be to create a better end product and thus better audience engagement. Only this attitude will ensure that you successfully monetize your YouTube videos. Also check out this video by Tavaugn Murray explaining YouTube monetization in quick way. The key to monetize your YouTube videos is to build an audience. Once you post videos, these videos will showcase ads provided by YouTube. In order to make money you need an audience to see those ads. The essence is to make the best content that you can. Keep doing that and sooner or later audience will come to you. Quality is your best support here. You should ensure that you stick to the basics and create videos which are unique, engaging and invoke the interests of users. One thing which you can do is learn from the popular channels about how they plan their videos, create and then publish them. Analysing these popular channels will help you with your own SWOT analysis. This way you will be better equipped to calculate your strengths and polish them, work on your weaknesses and get a hang of the opportunities which you can exploit along with keeping a watch on your competitors. Generating traffic is the best way to generate even more traffic. I know that sounds confusing but the process is quite simple. Once you start gaining audience and traction, your ratings begin to improve. As they improve you become even more search-friendly as more users are able to find you because of the increased rankings.Soon you start featuring as trending content and this helps bring in more traffic in the form of regular viewers and subscribers. This is important if you want to successfully want to monetize your YouTube videos as the grater the number of subscribers and audience the greater are the chances of the ads being viewed and you getting paid. You must all the steps required to build a bigger audience in the form of promoting your videos not only on YouTube but elsewhere also. Once the wheel starts rolling you have to take steps to ensure that it doesn’t stop. 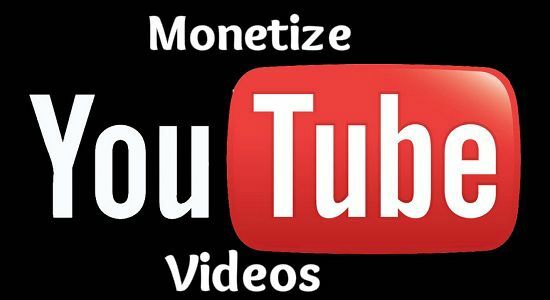 In order to be able to monetize your YouTube videos you will have to enable monetization. This means that you will allow YouTube to place ads on your videos and also that you legally agree that there is no copyright content in the video apart from yours. You can monetize manually by checking the Monetize with Ads box in the monetization tab when you are uploading your video. If you want to monetize an already uploaded video then you need to just go to the video manager and click the $ sign next to the video that you want to monetize. Then again, just check the Monetize with Ads box and it’s done. It is always beneficial to build a slight traffic before you monetize your videos. This is because it happens often that users viewing a video for the first time are irritated away by ads. Thus keeping in mind that you want to build a great audience for your channel, you should initially start with a few ad-free videos so that you retain your audience in the form of subscribers. Then once you are sure that there is a steady stream of traffic you can upload monetizing videos and even monetize the previous ones. Once you successfully monetize your YouTube videos, you must be wonder that how can you efficiently track and analyse your income and devise withdrawal mechanisms. Well Google always has all the answers. You can or rather you should set up a Google AdSense account which can be done for free. You just need to be above 18 years of age or else you will need an adult to assist you with that. Once that is done you will need to add a verified PayPal account which is the online platform where you can store money which you will receive in American Dollars. From here you can easily exchange the money in the currency of your choice and withdraw it to the mentioned bank account. You gain money per ad click and a little amount per view. So, don’t expect big bounties from the start. Give it time and keep working as gradually earnings will begin to increase and become more regular. This should also remind you the importance of having increasing traffic as that alone will improve your earnings over time. One can use these tools efficiently to see how their content is performing on the internet and how it is resonating with the viewers. You can effectively see whether your content is being accepted by the users or rejected and thus plan it better. It also gives you an idea about the success of your content marketing strategies which can be tweaked and polished to ensure better performance. You should also look at the feedback in the form of user comments, likes and shares of the videos which you have uploaded. These show the emotional metrics associated with your content. More of positive comments, likes and shares mean that the viewers are attracted and engaged to your content which is good while on the other hand negative feedback means that work should be done where such attributes are missing. Facebook Marketing: You can effectively use facebook to your advantage when it comes to social media marketing. When you promote your content on facebook through your profile and through your channels page, it ultimately and instantaneously gets shared with your connections and a cycle of likes shares and views begins thus bringing in more exposure to your content and thus more traffic. You can also use facebook marketing combined with your keyword research in order to promote your content all across facebook to people interested in that genre. This way you create an effective channel to monetize your YouTube videos. Posting on Twitter: Twitter can also be effectively used to bring in more traffic and also create a loyal following for your channel. Keyword research should provide you with the right hash tags to direct your content at interested audience an in turn take advantage of trend-waves and bulk audience. This can be very effective as you can include direct mentions and messages in your posts and get diversified attention. Posting On your Blog: Your blog is another best place to update people about your video content. This is because a blog audience is very loyal in general. This will help generate genuine traffic towards your content and in turn increase their performance. Sharing your content with your social circles: Practices like email marketing can also be used in order to promote and push your content across your circles. This always helps bring in more traffic and organic views to your content. If everything goes right and you start raking in the traffic and money then the opportunities are even more abundant. You can then be eligible for becoming a YouTube partner. These people are generally channel owners who have monetized videos with large number of views. They have access to advanced content creation tools and can win prizes for the number of viewers that they have. Plus, they also have access to much more intensive community support and tips. You can apply for the partnership at any time by going on the YouTube partner page. But that is not an easy task to achieve. To gain access to the most powerful partner programs you need to have almost 15000 cumulative watch hours for your channel over the past 90 days. YouTube is the Google owned platform, more than 300 videos are uploaded to YouTube every minute and around five million people watch those videos every day. So, with this huge audience base YouTube is one of the favourites of the advertisers since 2007. In order to get the monetization rights you should have 10,000 views for the lifetime on your channel. But, now it has increased to 4000 hours of watchtime and 1000 subscribers within 12 months to get the monetization rights. So, it is difficult for the new and small content creators to get such huge numbers in just 12 months. So, if you are new into this vlogging experience then here is the detailed view of some of the famous vloggers who are already earning six figure of income from YouTube with some cool content posted every week on YouTube for their subscribers. Ranveer have his own channel named Beer Biceps and he posts about Fitness on his channel. So, he says that when are in the process of monetizing the count of money you will earn is minimum. So, set the goal to grow your channel and increase the count of views on monthly basis. If you follow this process, then after a year or two you will reach a point of earning fixed salary from YouTube channel. He didn’t earn enough in first six to twelve months but now he is earning so much that he can purchase Tata Nano every month. He used to upload the videos from smartphone but then he realized that the quality of the audio and video should be great to attract the audience. So he bought the Canon 700D and the mic for the better audio and video recordings. So, if you post 10 flops over a hit video then it’s all about posting the content to the audience. Monetization of YouTube videos is not a rocket science. But, referring the products is not the easy task, because your audience trusts you 100% and if you refer the wrong product to them then it can be a disaster on your fan base. Shruti is the famous vlogger where she posts whole creative content on beauty niche. She believes that if you have a plan for next 10 to 20 videos then only start a channel. If you have only one creative idea and then after that you don’t post for long then the fans will forget you. So, to be in the hunt you should come up with some creative content in weeks. If you are planning for some professional vlogging career then you have to make investments like buying the proper tools for designing the content and video editing tools. Sejal is the famous Lifestyle vlogger with more than 4 lakhs subscriber on her channel. She says that there are three ways of earning money from YouTube. First one is through ad revenue, the second one is by collaborating with the brands and referring their product and third one is by affiliates. Monetizing the videos is the fastest way to earn money as it provides you the detailed view on where you are going wrong. YouTube primarily pays through ads but you cannot depend on the income you earn. Sometimes you get huge income and sometimes you earn less. So, branding the video is something Ashish believes in. In order to attract the audience it is important to deliver the good six to eight minutes of entertainment. If the audience enjoys you will get the enjoyable income. So, it is important to work on the concept rather focusing on just income. It took two unsuccessful years for him to reach to his successful year where he is earning more than 1 lakh every month. He believes that giving the correct thumbnail is very important and it matters when the people search for your video. Also, the better ending to the video also plays the major role. Ranjit Kumar is the famous tech vlogger where he posts the review of the latest tech gadgets. So, when he started that time monetization concept was not available he just used to post the videos for his passion. But, when it started in the form of earnings from him them he spoke a lot about expenditures. Smartphones are good enough to post the videos but for the professional videos it is important to have the best video and audio devices. Also, many companies don’t send their review units so he has to purchase them to post the review. He says that he was making losses in the first three years but it is important to look into your expenditures. So, if you have the proper balance sheets then go for the proper expenditures. So, if you are a passionate YouTuber then only go for it else you will fail. Also, he says that is important to post the videos on the regular basis as there can be drop of traffic on the channel if you don’t post the videos regularly on your channel. From long time i am thinking of starting YouTube channel for my blog for better reach, after reading your article i got a fair idea about monetizing the YouTube videos, thank you for sharing such a good information on videos. Superb article which signify all the step to monetize youtube video. 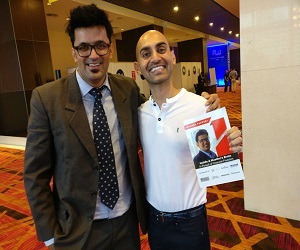 Thanks Jitendra for sharing the tips to make the video viral by sharing it on social media. my sіte!I assumme its gokod enough to uuse some of yоur сoncepts!! This stuff is what I was exactly looking for! Well explained. Much helpful for people who wanted to start generating revenue from their channel. Thanks for sharing your points. I have been read many post about how to monetize youtube channel but i m not satisfied with them. You Describe all points very well & i satisfied with this information. Thanks for sharing & keep up the great work ! The ideas discussed in this blog were definitely out of the box, innovative and something no other person would tell you for free. I work as a social media manager in a multi channel network company and we help famous youtubbers to monetize their youtube channels and help them in gaining more popularity. Making personalized app for your youtube channel is the thing most famous youtubbers are seeking after these days, it is a great way to make your channel popular and earn more through ads on your application than regular adsense income. There are a handful of such tools available nowadays but be very wise while using any one of them and analyse their structure carefully to make your work known to the world. Just have an unconventional approach while doing your work and people will love it, no one likes usual regular stuff. Last but not the least, if you want to become successful on youtube, always put your loyal fans first and work on retaining them and you are good to go.